Heo is a free game app for Windows 8 and 8.1 in which you have to make the main protagonist of the game jump over obstacles. The game just doesn’t end there, in the game there are certain obstacles marked with question marks which when you jump over, you have to answer that question before you can proceed further. 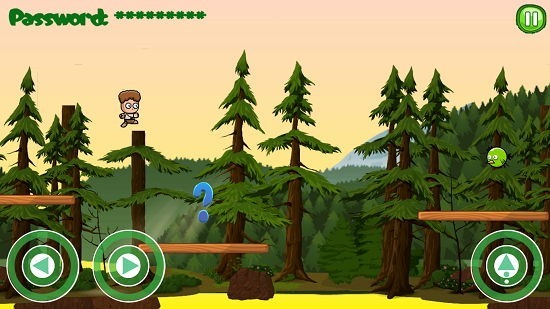 The game gets over in two ways – one when you fall from the platform of the game, or when you answer the question asked in obstacle mode wrongly. You have a limited time to answer the question and your remaining time will be displayed in a vertical bar at the left side of the screen. Heo is available for free from the Windows App Store. When you install and run Heo on your device you will be taken to the below screen. 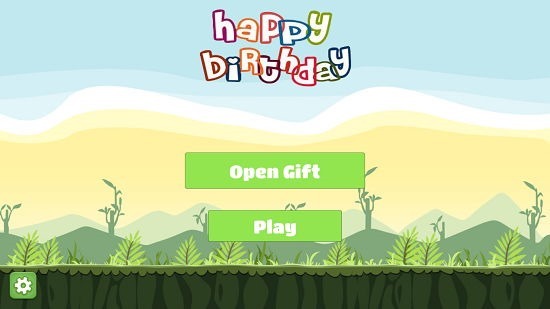 In the above screen, you can directly start the game by clicking on the Play button. You can also toggle the sound and other settings by clicking on the gear icon at the bottom left of the screen. When the Play button is pressed in the main screen of the game, you will be brought to the gameplay screen of the game which can be seen in the screenshot below. You can either choose to use the touch controls at the bottom of the screen for touch devices or you can also use the arrow keys to control the main character of the game. 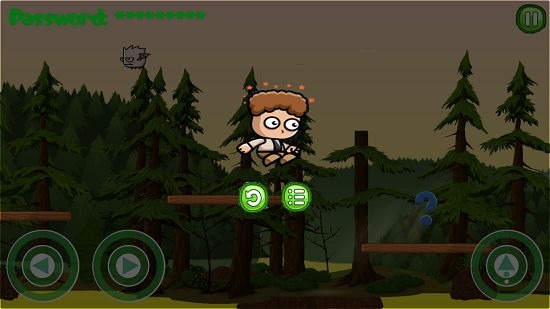 The left and right arrows make the character move, and the up arrow makes him jump. In the above screen, you can see the main character is going to fall on the question mark icon. This question mark icon in the above screen is an obstacle and when you come across it, you will be asked a question which you have to answer in a given amount of time before you can proceed. The question is asked in the below way. You can see the timer running towards the left side of the question which is asked on your screen. If you fail to answer the question in this time or answer this wrongly, it’s game over. It’s also game over for you if you fall off the platforms. When the game is over, you will be shown the above screen. From there, you can choose to start the game again, or go to the main menu of the game. This concludes the main features of Heo for Windows 8 and 8.1. Heo is a well-designed game app for Windows 8 and 8.1 which can be downloaded from the link below.